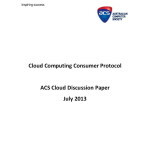 Cloud Consumer Protocol Discussion Paper (the Paper) aims to elicit suggestions and information from cloud computing vendors and from users of cloud computing services – particularly small businesses, not-for-profits (NFPs) and consumers – about the tools and protections they need to acquire and deploy cloud computing services in their businesses with confidence and trust. Government agency input, both Commonwealth and State and Territory, is also welcome. The Government recently announced a National Cloud Computing Strategy, which includes an action to develop a voluntary cloud computing consumer protocol (the Protocol). 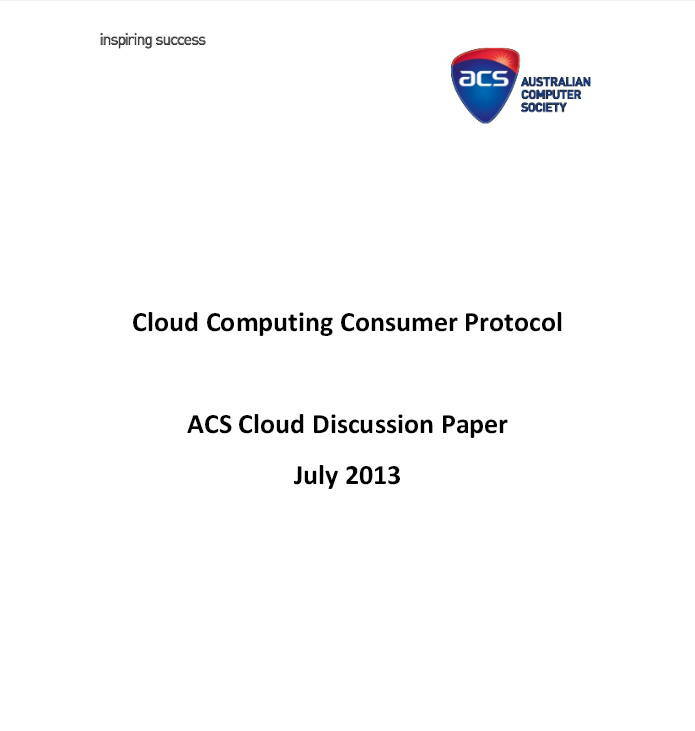 The development of the Protocol is to be coordinated by the Australian Computer Society (ACS). Posted in Asia Pacific, Cloud Computing, Communications, Digital Media, eBusiness, Entrepreneurship, Federal, Information, Services Industry, Web 2.0 and tagged ACS, Australian Computer Society, Cloud Computing, cloud computing services, cloud computing user, cloud computing vendor, Commonwealth, National Cloud Computing Strategy, NFP, non-for-profit, small business, State, Territory, voluntary cloud computing consumer protocol.